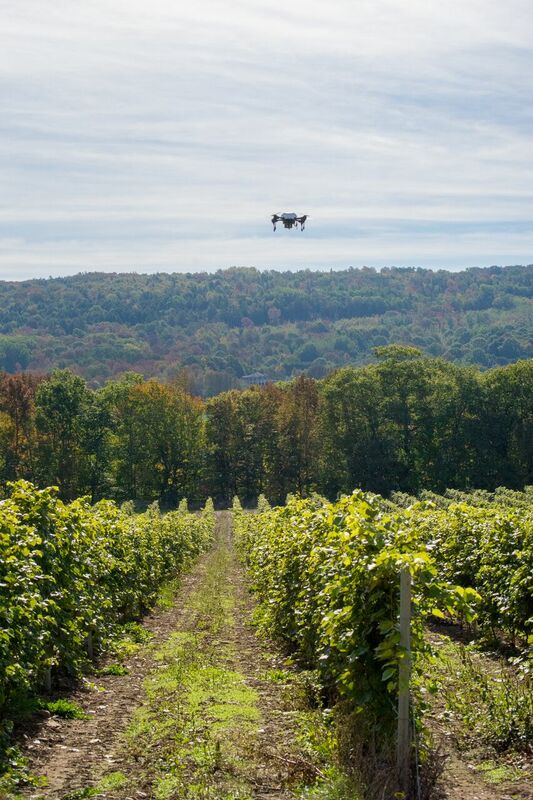 Last summer, Grape Growers of Ontario began working with VineView (formerly SkySquirrel Technologies Inc.) to bring one-of-a-kind innovation overhead Niagara Region vineyards. The drone and airplane-based technology is providing grape growers around the globe with unprecedented measurements of grapevine health, and has been a mighty leap forward for the Niagara wine industry. Based on NASA technology, the measurements come from highly specialized aerial-based sensors and a cloud-based image processing service that can determine grapevine vigor and detect disease. 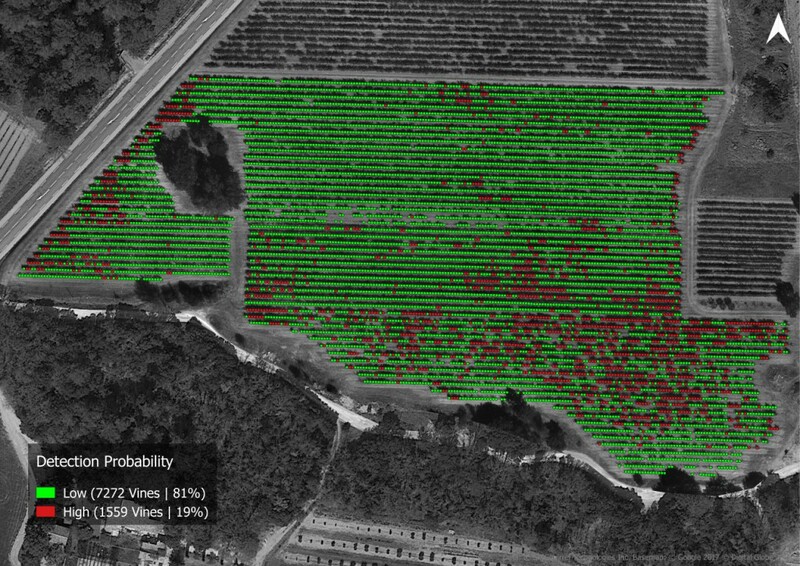 At the beginning of this year, Canadian-based SkySquirrel and California-based VineView Imaging—both leading providers of aerial imaging and crop diagnostics for vineyards—announced a merger under the name VineView. After merging their technologies, customers and resources, the new VineView is driving vineyard technology forward in 12 countries and counting. Specifically, drone and airplane-based hyperspectral imagery provides growers with specialized data about the health of their grapevines, allowing growers to optimize yields, improve grape quality and reduce damage from environmental factors like grapevine diseases and frost. Of course, there are a variety of things to deal with in different climates, and the uses for the technology are quite extensive. Grape Growers of Ontario were excited to bring the technology to Niagara for the impressive EVI (enhanced vegetation index) mapping, which measures vine health and maps grape vine disease. Consumers might not like to hear the word ‘disease’ when it comes to their crops, but the fact is it’s an inescapable part of nature – and innovative technologies are the solutions helping us work with the inevitable, and in a sustainable, efficient way. A large concern in certain Canadian regions is Grapevine Leafroll Disease, which affects up to 50% of vineyards globally and can have devastating impacts. VineView’s technology is one of the only (if not the only) technology that detects leafroll, so it isn’t difficult to appreciate that this is a game changer. Understandably, some Niagara growers, through the Grape Growers of Ontario, wanted to harness this technology to analyze and manage their vineyards. The mapping is sometimes simply a preventative measure to ensure there is no disease; but, if anything is detected, the vine is uprooted and replanted (no pesticide treatment). The technology is able to detect the individual vines, offering vine-by-vine information to the grower so they know which vines to closely monitor. Its efficiency, which allows growers to zero in on problems quickly and directly, is unparalleled. 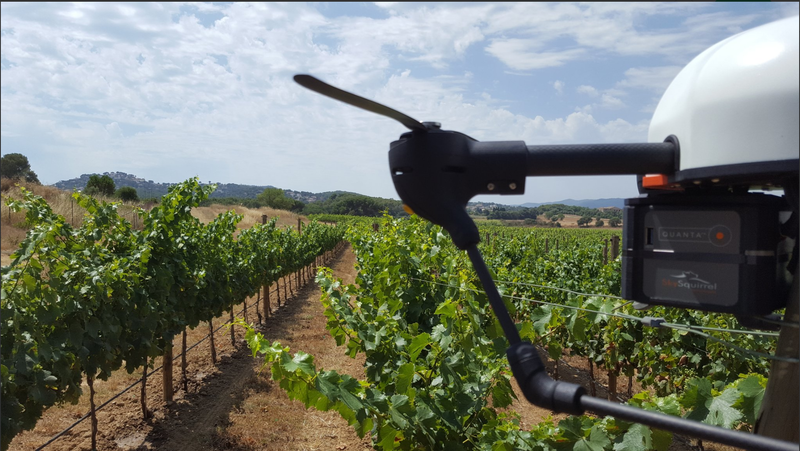 Before turning to aerial-based methods, for instance, one vineyard was using ground-based scouting for every row of the field to identify infected plants: a laborious and time-consuming method that resulted in errors and inaccurate estimates. The hyperspectral approach provides better estimates of total infection rate, while also offering valuable detection maps that show the exact locations where the disease had spread — important for planning control measures and monitoring status over time. Forward-thinking grape growers around the globe, including now some in the Region of Niagara, are harvesting necessary data and information through emerging, innovative technologies, ultimately maximizing efficiency and increasing healthy yields.